As any other social media addict, I was privy to the infamous video that came out of last year’s Miss Rwanda pageant. I am going to spare you the details of the video as I am sure you are well aware of its content. Like many, I laughed so hard until my belly was aching, but then realized that the humiliation is not on her, but on you: the organizers! After the video made it worldwide appearance, I was sure that this would be the last time such foolishness (sorry I meant pageant) would be organized. It is with shock that I learned that a 2015 Miss Rwanda pageant took place. So I decided to dig further into it and learned a few interesting facts: The first Miss Rwanda pageant dates back to 2009, the pageant is under the umbrella of The Ministry of Youth and Culture in an attempt to ‘produce a girl who is beautiful, intelligent and cultural’. Finally, in order to participate in the pageant, the young ladies have to be between the ages of 18 to 24 years old, 1.70 meters tall, weight between 45 – 65 kilos, fluent in Kinyarwanda and either English or French. There are so many wrongs about this pageant that it would take several open letters for me to go through it all, but I thought I’d just point out a few. First, let’s discuss the criteria to enter the pageant. Are we saying that my 30 something year old, non- fluent in Kinyarwanda, with various weight fluctuations depending on the day and time of the month and no taller than 1.62 meters is not a good representation of Rwandan beauty? Newsflash: beauty cannot be measured, canned, produced, restricted or rehearsed. Why do you feel that beauty has to be a certain height, weight or age? Secondly, I have also heard argument that selecting a Miss Rwanda is not a new concept for Rwanda as we used to have to search for the most beautiful woman who would become the Queen of Rwanda in ancient times. Really? Was she also made to parade herself in front of a stage, wear different outfits (I don’t think the two piece bathing suit had been invented then) and answer questions in a language she did not understand nor speak, or was the selection of a Queen done in a more private and respectful way? Please educate me! Finally, you claim that this is about empowering women. Here is an idea if you really want to empower women: tell them that they do not have to compete for beauty, that they are beautiful in their own rights, teach them that they can do anything, give them the tools and mentorship needed to succeed, expose them to our rich heritage and not a tradition that started in the West. Stop putting on programming and events that promote this absurd standard of beauty. Don’t you think that will be more empowering? This open letter is in no way an attack against the newly crowned 2015 Miss Rwanda, Doriane Kundwa. You are indeed beautiful and smart, but not because of the crown you won, but because you were created that way and no pageant or contest needed to affirm what you already knew! Wishing you the BEST of luck! True true the Rwandan culture is rich enough as to find other means to empower our youth without copying the west. What a great point Nellie! We need to be careful how we are defining and teaching beauty to our daughters! The West has done it longer enough and we can learn from them and stick to our culture! The objective is really ” to produce” a girl, that in itself is a wrong objective! Dear Ministry of Youth, what is really the objective here? Just asking! Nellie thanks again for bringing this conversation to light! Is empowering youth, really the objective here? This is upsetting to know that the Ministry is standing for this foolishness. Nellie you are on point! As a rich culture, we should not be following the west, at least learn from their failures and do not copy for the sake of having a pageant? What is the purpose of all this? Thanks for bringing this discussion to light. I beg to differ with you Nellie. In any contest the organizers are free to narrow down the criteria of their participants. Have you ever gone to their ‘boot camps’ where they train the selected participants? Have you noticed the way they walk on the catwalk? Doing a catwalk is not the same as walking to the market. There are rules to this game. There is such a thing as a good catwalk and a bad one. That’s where these restrictions come in, especially height and weight. For the age restriction, I dare say this is to reflect the targeted demographic. If I am organizing for a talent search and I am sponsored by say Colgate and I want the young school going children, I will set my age restriction accordingly. Get my drift? Then lastly there is this extremely difficult (some may even say impossible) task of trying to quantify beauty, intelligence and culture. Taken individually these are all qualities we aspire to have and to show, but it is way too subjective and so it’s hard to come up with a ‘winner’. Nonetheless some poor judge has to look at the lovely 10 (how many contestants were there?) ladies and amongst them all select a queen. It’s not an enviable task especially when there are many “open letters” and other criticisms to take along the way. Let me summarize this, in such a contest I usually take the entertainment element of it. Deep down I know we are all wonderfully made. It doesn’t matter what ‘standard’ someone may ever come up with. Let’s all have a good laugh, let’s encourage our girls to participate and to keep their head up because they are wonderful, no matter what some judge out there says. 1st. You say that in any contest the organizers are free to narrow down the criteria. I completely agree with that. It is their contest and they can choose to see whatever kind of beauty they want. My point is that when it comes to beauty it should not be narrowed and there are in fact NO criteria for beauty! none! so why have criteria for this contest. 2nd. No I do not get your drift regarding colgate and a contest… are you saying that you are using young girl to sell a product is really what is going on and not a genuine contest? I am confused still…. 3rd. Thank you for making my point: beauty CANNOT be quantified… EVER!!!! lets move on… glad we can agree on something! 4th. You want to take the entertainment element of it… I don’t see anything entertaining about parading young girls onto a stage to be judge to a standard of beauty that cannot be quantified (in your own words), having them change outfits like a Barbie doll. Nothing funny, entertaining, laughable…NOTHING! Thank you for your comments and I hope many more will join in the conversation! In essence, I have paradoxal views. When I came for the first time in Rwanda in 1996, in my young mind, I too thought the beauty of Rwandan woman need to be promoted on a global platform, there were no Lupita, Alec Wek or Naomi at the time…..the standard of beauty were set by western standard of beauty….the one African Woman transcandi these norms on a global stage was Iman!! And so, I was con inced that Rwanda was totally able to produce a shining star on a global platform too through either fashion or a beauty queen. 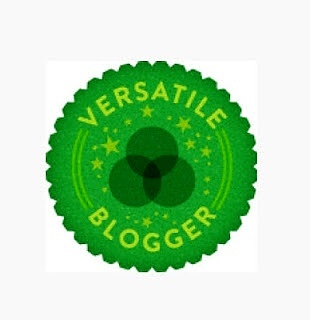 Question is now……how to defend, preserve and balance our cultural values and be involved at the same time? Fast fwd to 2015. I think the 2014 provoked an electroshock to the organisers and partners and made them realise that production value of a beauty pageant is not to be IMPROVISED! The theme of this year: Rwanda Beauty Brain & Culture is a beautiful approach to take ownership and adapt the format to Rwandan values….yes! 8 for efforts! Yet there still many hiccups along the way….Rwanda is yet to learn how to produce HighEnd quality entertainment, we try to hard, copy/paste foreign production practice without understanding the mechanism of the industry and we cut corners out of greed, lazyness and ego. In such a production, details that may sound futile to some people, are a crucial part of the juggernaut… It cannot be ignored or dismissed or sweep under the carpet. That jury composition and selection of guest performers from Naija displayed total disjointed thinking and conceptualisation, didn’t make sense…..as for the criteria, this part I can defend…without disagreeing that beauty comes in all forms if size, shape, height and forms…..I also understand that a national beauty pageant aim is to send the winner to compete on Miss Universe so ….. Requirement in size, weight n height need to be respected if, and only if a miss Rwanda want stand a chance to be selected/considered and participate to bug Miss World / Miss Universe show. Then again….Rwanda does not have to define its beauty by these “foreign” standard but if a Miss Rwanda has to go that way…..it is what it is! It would not define us but it is the game to play…. the problem is this one and only this one. they copy what others have or are doing without having their own justification. it’s not wrong voting for miss rwanda ….. what is wrong is voting at american or european standards someone who will be representing Rwanda !!!! and again, why ask questions in english or french??? I think the government can simply organize their own beauty content if they find it a beneficial activity and pull out of Miss Rwanda. Leave it as a private commercial venture. This competition is only for the purpose of sending a representative to Miss Universe. This has NO cultural benefit for the thousands of girls that register every year. At the most we support foreign values that confuse our population to think these are the dimensions of the most beautiful women only to end up with anorexic or depresed ladies. I echo your sentiments that this contest was in no way trying to empower those girls. I’d rather have them share the prizes and opportunities with all the girls that participated instead of the winner gets all. Ideally, they should also implement programs in general that provide possibilities to truly help these girls in the long run. Where I do disagree with you is saying the organizers completely blew it in terms of putting together a decent pageant of sorts. I think it’s hypocritical to say that we do not have to adhere to these implied western standards when we do in fact rock their clothes, chains, getting weaves on fleek, using their language etc. It’s inevitable to assimilate to some of these ideas and beliefs since it’s been plastered all over the place, but the key is to not lose our culture and essence. You’re not gonna sit there and say a 55yr old woman, albeit beautiful in her own right, who doesn’t really care being on that stage neither, should be the one that embodies true Rwandan beauty. Is she any more elegant than the chicks that was at the show? Lol I don’t think when they vote for a new miss USA, Halle Berry, who is damn near 50 and still killin it, sits there all salty talkin’ bout Oh hell nah why they ain’t wanna include women of my age in their qualifying age bracket. Everyone flawless in they own way. Realistically, it’s a young people’s game. When you go all around the world and look at different pageants that are held, there’s certain norms and requirements that they all share. It’s the norm to do all them catwalks and change in different outfits. What would you rather have them do doe? Paint their faces crazy on some African ish and put on some real ancient cultural clothes to really showcase and ingrain the culture in ppl. C’mon man, people change and evolve. We live in different times. It’s obvious that the contest is a work in progress. Nobody’s holding them to the highest degree, as you mentioned they just started organizing this stuff. Not saying we shouldn’t stand by our beautiful Rwandan culture and promote it, but I think it’s abhorrent to knock them all the way down. Nobody has all the answers. It’s a clear conundrum, and I am sure they will recognize their mistakes and improve. I jst think the crabs in a barrel mentality gets us nowhere. If you truly believe that everyone is beautiful in their own way (which I do believe in as well), you shouldn’t be bothered by the propensity that these contests have for certain heights, age, etc. . I ain’t that serious. I think the entertainment element is far more intended than the problems you aforementioned. I think that the topic of African beauty pageants (and modelling contests etc) is a tricky one. While we are a continent that has been plagued by beauty constructs for centuries which has only been aggravated throughout history leaving many of our sisters with damaged skin, hair and eating disorders, there is also a promising prize from winning or performing well in a competition of this nature. Modelling/beauty is an industry which some women excel, whereas others are more intellectual and it would be just as wrong for us to choose which is better or more substantial. What is disheartening though (and i think that this is what Nellie’s point aims at) is that an incredible amount of money goes into these pageants which have ridiculous criteria (one such pageant restricts entrants from having ever been married or pregnant) but comparatively less money and support goes into rewarding and encouraging women in science, technology, art or literature. Believe me!Africa will never rise up without building strong foundations on our traditions.I am not trying to say that our traditions are 100% worth keeping but atleast most of them can be readjusted according to the current contexts.Otherwise,trying to keep up with west which is centuries ahead of us will be an absolute weste of time.These Miss Rwanda staffs are signs that we are trying to be both Rwandans and westerns at the same time.Its never gonna work.We need to pay attention with Globarisation in different dimensions of our lives because it is negatively influencing ways we think,behave and act. I am always amazed by people like you Nellie, who see negativity everywhere. MissRwanda is one of very few (unfortunately) activities/events that makes us Rwandans (here in Rwanda) happy, excited, joyful. You can notice that on social media when this activity is on. And again, this way you have of, kind of lecturing us in your text, with empty of sens statements …. mxiouuuu. this post is motivated by jealous and inferiority complex, sorry if you are too old ,fat, short ,narrow minded.You do not meet the standards. and we poeple we are the one to vote for contenstant, if 80% of people, can say yes to the criteria then it is ok, I respect your opinion though , everybody can not be happy. If you #Doriane need an english tutor, I’d be happy to train you. You’re right about this point: If it’s about encouraging youths you have to promote other values than just being pretty but it’s also important that the new Miss can profit by her victory. The selected girls have high modelling potential – just compare with Happy Jacqueline Umurerewa and Honorine Uwera, both Canada based models of Rwandan origin. And both would also meet the criteria of this pageant. I think they rather go by international runway standards than politics. I think a girl meeting the given criteria will gain more out of it than an average person, except you are also looking for specific talents. As many others I really wish Rwanda as a country as well as its people get more international recognition. My suggestion: In many countries e.g. USA, Australia, Germany (where I live) and I guess also the Netherlands they cast these “…next Topmodel” shows. That way they can look for a model there and change the concept of pageants to the advantage of other values. I also don’t speak much Kinyarwanda (if someone wants to help me practice, you’re more than welcome) and I don’t think I would be a good representative of Rwanda because the language is an important part of a culture. Unfortunately I didn’t grow up with ANY Rwandese around so now I’m trying to learn it by myself. It would be indeed enough if the questions would be asked in Kinyarwanda although by using French and English you also reach non-kinyarwanda-speakers, but there’s also an option to put subtitles afterwards. 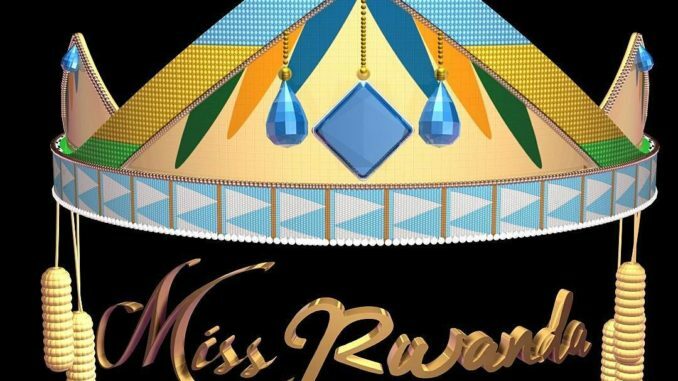 All in all Miss Rwanda quite differs to the many other pageants worldwide. The clothes, choreographies and the style of the girls in general is typical Rwandan. There are more Western oriented pageants in other countries. Anyway don’t take these events which are made for entertainment too personal and too serious. In Europe the Misses usually don’t become very famous and get lost among other less relevant celebrities. If you wanna change beauty standards towards a more Afrocentric direction you first have to promote Rwandan faces more in commercials, produce more own TV shows – I know you’re on a good way. But the criteria of Miss Rwanda are just results of what’s going on throughout the year. we should be proud to communicate in our mother tongue and get translators If necessary like the arabs, russians and chinese. The ability to communicate in english should not determine your IQ.